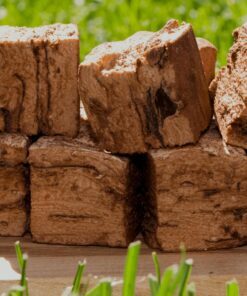 Once you try one of our Loaded Marshmallows that are filled with real chocoate or cookies you will never want to go back to the bag mallows ever again. It’s time to expect more from marshmallows. It’s time to get massive flavor and amazing variety. We here at Mountain Mallow believe that a marshmallow can be WAY more than some bland, flavorless cylinder. Try one of our loaded marshmallows and you’ll never go back to the ‘puffed’ again. THE LATEST NEWS AND POSTS FROM @MOUNTAINMALLOW! What is a Gourmet Marshmallow? We take marshmallows very seriously from our ingredients to the package we deliver them in. 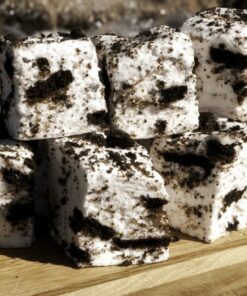 Our gourmet marshmallows use the best ingredients with no corn syrup ever! We handcraft them in small batches to ensure that every box is the best quality and the best marshmallow when they get to you. 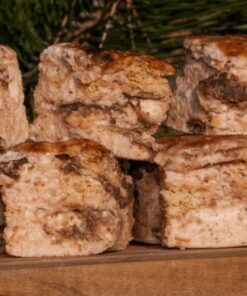 You’ve had the puffed marshmallows, and you may have tried one from a grocery store trying to pass off their bland attempt as a tasty treat, but it is time to try to best tasting, loaded, gourmet marshmallow on the market from Mountain Mallow. I love chocolate and I am not a fan of marshmallows so when my friend gave me these I didn’t think I would like them. BOY WAS I WRONG! Triple Chocolate is for me!